Stillpoint's Seventh Chakra blend, Transformazione, means Transformation. This blend was formulated to assist with our connection to our higher self, the Divine and and all that is. It is to help with expansion of our being to allow growth and oneness to occur within ourselves. The Seventh Chakra is our connection to our spiritual nature and or capacity to allow spirituality to become an integral part of our physical lives and guide us. The 7th chakra is directly aligned for us to seek an intimate relationship with the Divine. This chakra represents our connection to the transcendent dimension of life. 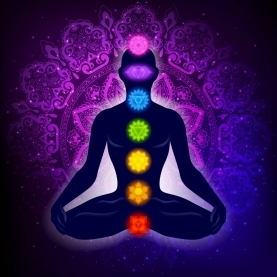 This is the chakra that contains the energy that generates devotion, inspirational and prophetic thoughts, This chakra is also known as the Crown Chakra or Sahasrara and deals with our gift of knowingness or intuition as well as religious, societal, and familial programming...cosmic consciousness.